I found yoga in 1972 as an adjunct to classical ballet. I soon realised that the major benefits of yoga practise for me were at an emotional and psychological level. I was fortunate to meet Paramahansa Swami Satyānanda in 1976 at the Sydney World Yoga Convention. And I travelled to India to study under his direct guidance. For 10 years I lived at the Bihār School of Yoga, Munger. I practised various aspects of yoga and taught classical Hatha Yoga yoga. During this time I also authored ‘Swara Yoga, the Tantric Science of Brain Breathing’ and commentaries on ‘Haṭha Yoga Pradīpikā, the Light on Hatha Yoga’, the C15 AD Sanskrit text by Yogi Swātmarāma. Both of these books are Bihar School of Yoga publications. In 1986 I had to leave India and return to Australia, where my base has been ever since. Paramahansa Swāmi Niranjanānanda gave me the title of Yogācharya, master of yoga, in 1993. I continue learning about mind and self. In the last few years I studied Choice Theory with the William Glasser Institute Australia (WGIA). The principles of Choice Theory and methods of understanding yourself through Reality Theory are analogous with yoga principles. I have also studied Esoteric Chakra-puncture; a highly effective process to deepen a your experience of your higher self and naturally dissolve negative tendencies. This process is like a spontaneous yoga nidra facilitated by the application of fine Japanese acupuncture needles in specific configurations. 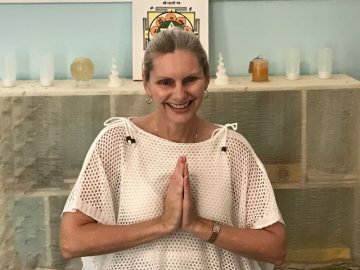 While in Brisbane I teach regular yoga and meditation classes in Forest Lake and at other times I travel teaching workshops and retreats locally, interstate and abroad. I also enjoy teaching for YIMI, BIYOME, One Family Fitness and Yoga and in other institutional settings. My goal is to bring the ancient yoga practices into the modern day context. Visit Workshop/Retreats button for more information about upcoming events. Click on the more… button for Yoga Retreats in Vancouver. Yoga and its many layering benefits started me on a journey of self-discovery over sixteen years ago. Incorporating yoga into my daily life provides my body with more strength, balance and flexibility as well as assisting me in finding more clarity and peace of mind. I have found that yoga can be that place where I am free from distractions and it provides me with a space where I can truly get to know myself. As a Yoga Instructor I enjoy teaching from an inner space of authenticity by relying on the traditional foundation of Hatha Yoga. At the onset of the class I will assist you in centring yourself and then gently lead you into a series of asana postures whilst adapting poses to your ability. I also incorporate meditative breathing, mudra and mantra techniques for centring your mind and to enhance feelings of peace and relaxation. The class culminates with Yoga Nidra relaxation meditation to bring you into a deep sense of physical, mental and emotional stillness, thereby allowing more space for you to recognise your spiritual self. I came to the practice of yoga through her personal interest in health and emotional wellbeing. 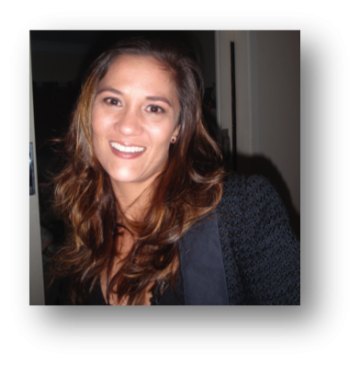 She began her yoga teacher training in 2014 with Pine Rivers Yoga and completed the Level 1, 350 hour qualification in 2017. Her yoga classes include mindful movement using a gentle, slower-paced approach to postures, breathing, mudra (hand gestures) and yoga nidra meditation. 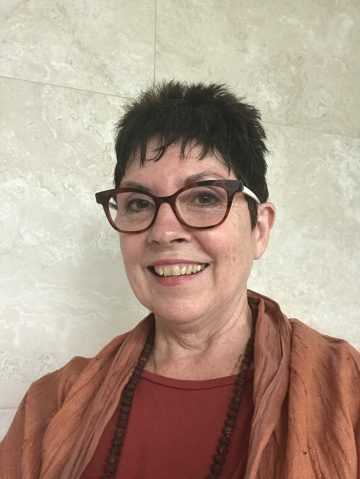 Following her own personal experiences with burn out and chronic fatigue, she is passionate about teaching a gentle style of yoga that honours body, mind and spirit and that is accessible to all. My conscious journey with yoga began at least 25 years ago. I have incorporated yoga into my daily life since this time. Always edging closer to a deeper understanding of authentic yoga and how we can ALL apply these ancient principles to our modern lives and achieve inner peace, vitality and freedom. As a yoga instructor, I lead a variety of classes for all skill levels drawing on principles of traditional Hatha Yoga. I assist students to centre their mind, body and spirits using meditative and breathing techniques in conjunction with yogic movement. I treat each student individually and offer adaptive postures so that yoga is achievable for all during class. Yoga will continue to be an integral part of my spirit and life. As I continue to explore the many benefits I wish to share my knowledge and experience so that more of us can find own centre within.